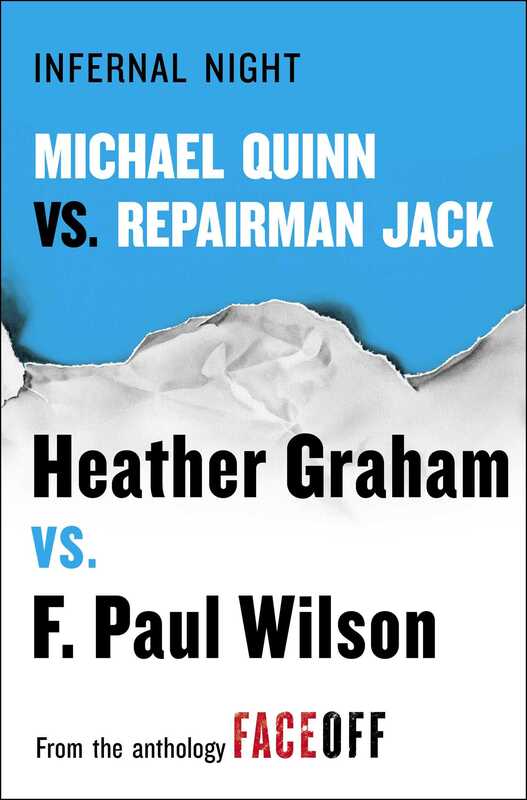 In this short story from the thrilling anthology FaceOff, bestselling authors Heather Graham and F. Paul Wilson—along with their popular series characters Michael Quinn and Repairman Jack—team up for the first time ever. Jules Chastain, the last surviving member of a wealthy New Orleans family, has a problem. And he’s hired Repairman Jack to fix it. It seems that Chastain “appropriated” an artifact from a fellow collector, Madame de Medici, and she wants it back. But the item—an ancient ring—is located somewhere in the family mausoleum and Chastain is too terrified of the wrath of his enemies to even leave his house to look for it. Meanwhile, Michael Quinn, himself a bit of an independent contractor, is waiting in the mausoleum when Jack arrives. And it’s Quinn—whose day job at The Cheshire Cat curiosity shop in New Orleans has made him familiar with mystical objects—who tells Jack that they are dealing with more than just a ring. They’re dealing with one of the Seven Infernals. Which means a simple retrieval job just got much more dangerous.